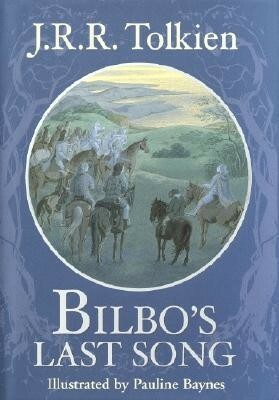 Bilbos Last Song is considered by many to be Tolkiens epilogue to his classic work The Lord of the Rings. As Bilbo Baggins takes his final voyage to the Undying Lands, he must say goodbye to Middle-earth. Poignant and lyrical, the song is both a longing to set forth on his ultimate journey and a tender farewell to friends left behind. Pauline Bayness jewel-like illustrations lushly depict both this final voyage and scenes from The Hobbit, as Bilbo remembers his first journey while he prepares for his last. I'm the author/artist and I want to review Bilbo's Last Song Revised Edition.